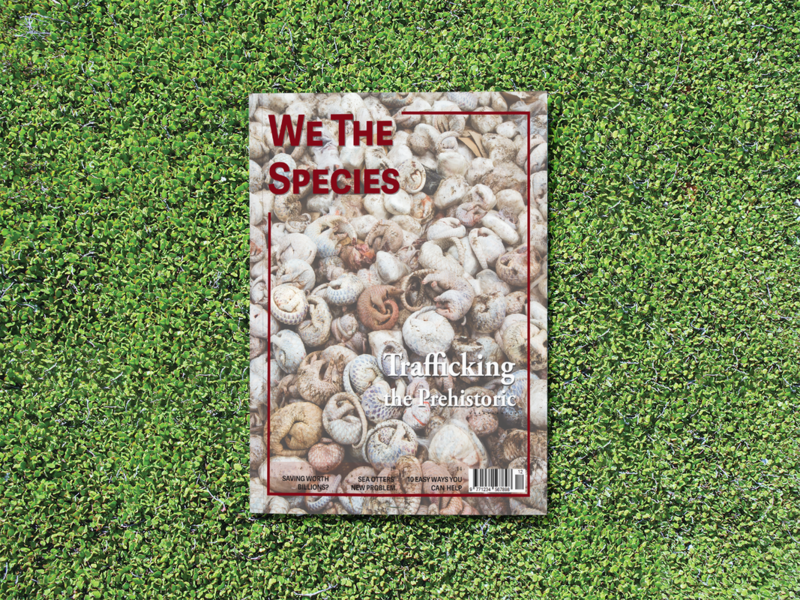 ​A magazine dedicated to increasing awareness to the plight of endangered species. 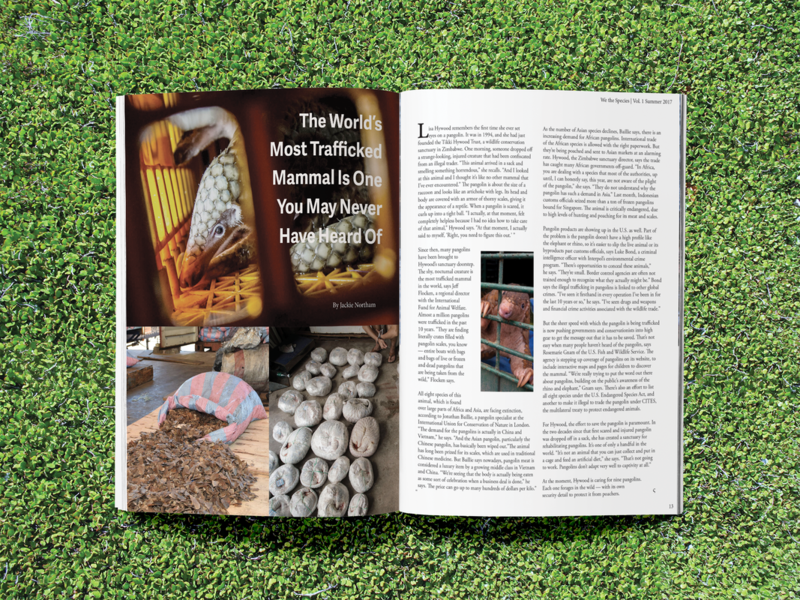 On the cover is one the most interesting endangered species, the pangolin. It being the most trafficked mammal in the world prompted me to place the shear amount of that could be killed on a daily basis. 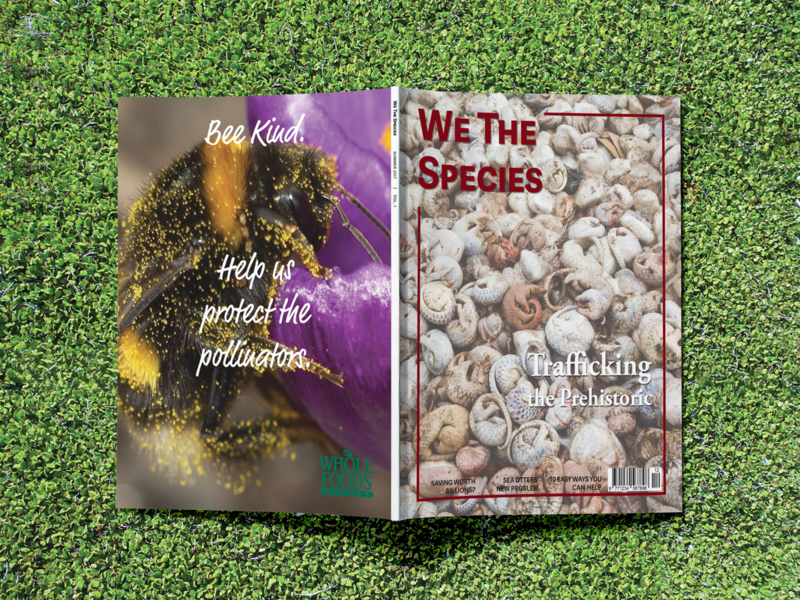 The ad on the back cover is a call out to the protect pollinators that Whole Food sponsors. The two spreads show just how many different scenarios affect the endangered species. 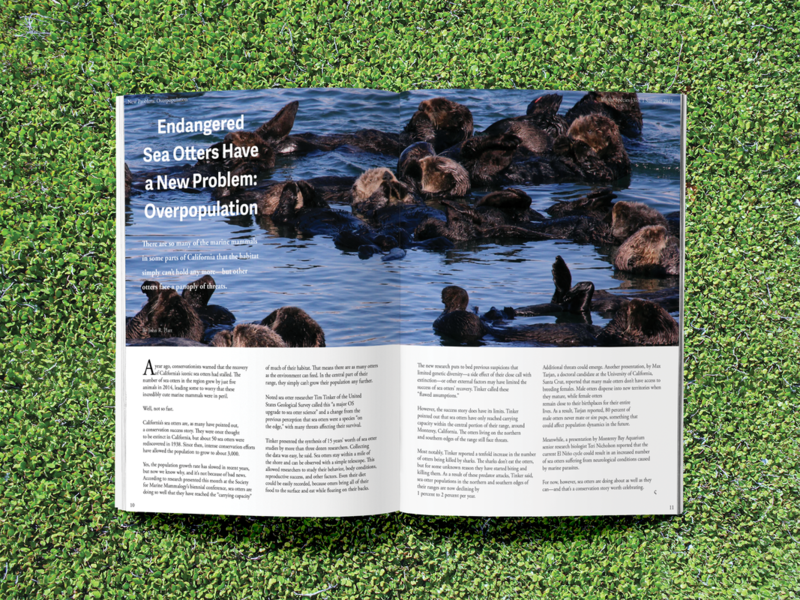 The layouts of the spreads give a feeling of how each animal is affect by their current situation, the otters photo taking up most of the spread due to overpopulation and the pangolin confinement only taking a small portion of the page.